I absolutely love creating beautiful food. Not everyone eats with their eyes first, but I absolutely do. Good tasting food is a must, but beautifully presented good tasting food is something magical. 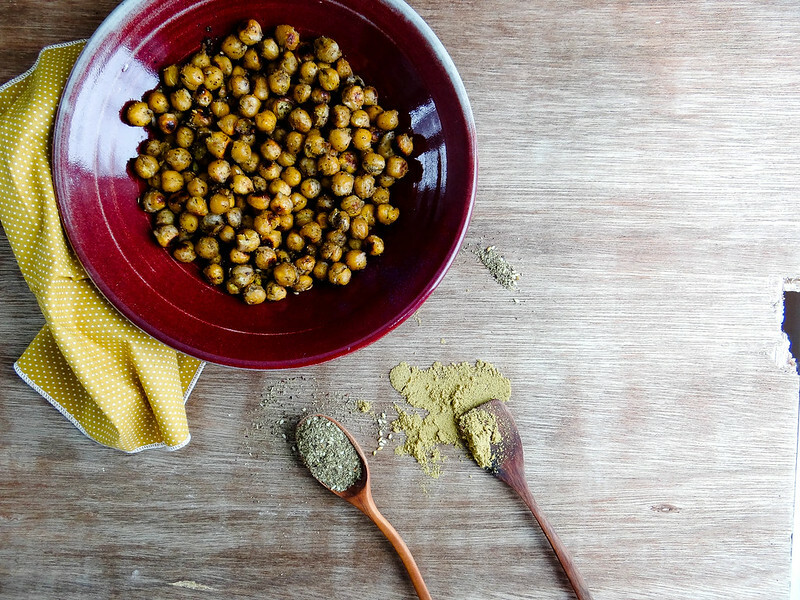 Even something as simple as chickpeas and a few spices can be stunning. Simplicity is great, isn't it? Za'atar is one of those spices that you didn't know you can't live without until you actually have it in your pantry. It adds so many layers of flavors in one easy to use blend. 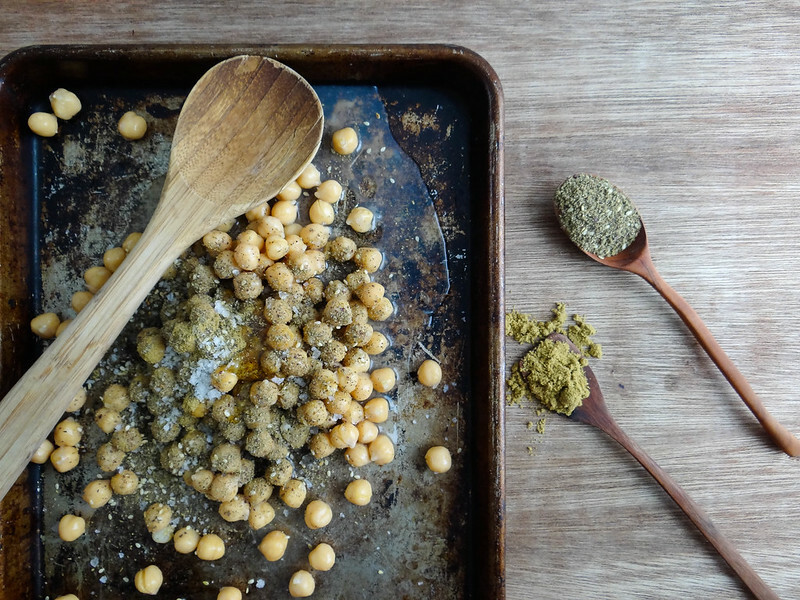 I love pairing za'atar with smokey cumin, roasted with chickpeas it is very reminiscent of falafel with half the work of actually making falafel. 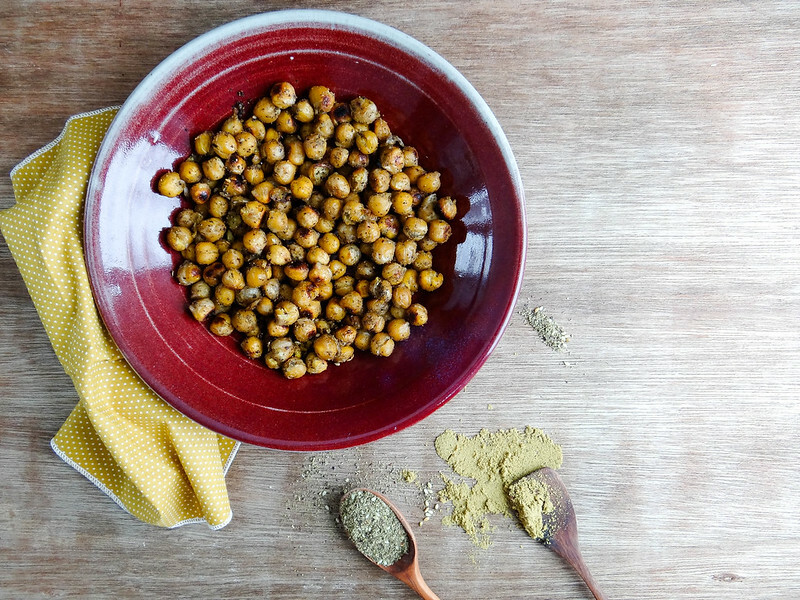 As of late, roasted chickpeas have been my go to for quick and easy lunches + dinner throughout the week. They are amazing in a wrap with a bit of fresh greens, pickled vegetables + tomatoes, tossed over a salad or slightly crushed and served on a few crackers as a quick snack. 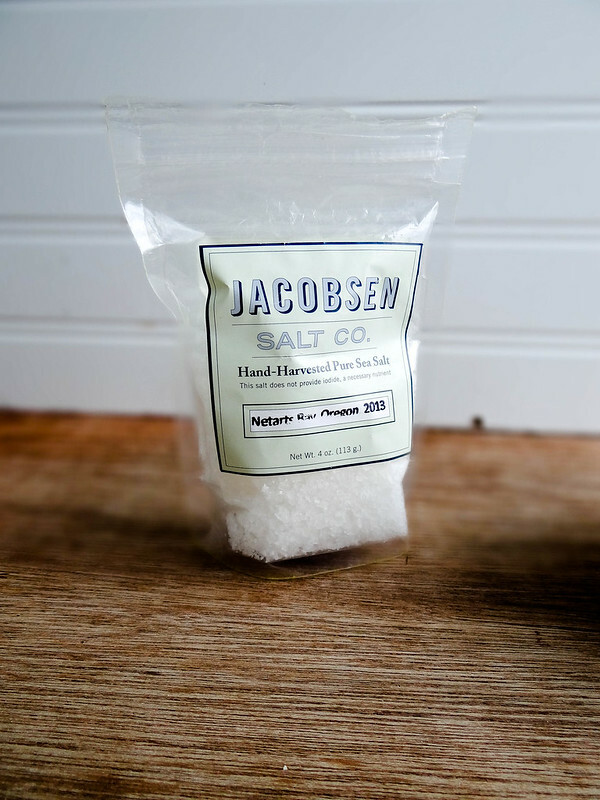 Another pantry item that I've fallen in love with and now is always a must: really REALLY good sea salt. For me, salt elevates any dish from good to amazing with just a sprinkle. 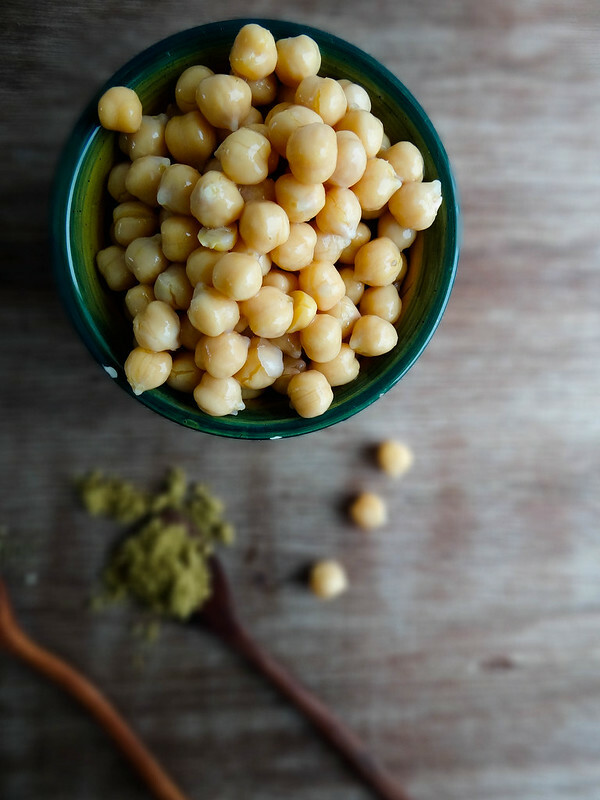 These chickpeas are stunning, quick, easy to make and taste amazing. I promise you, they will not disappoint. 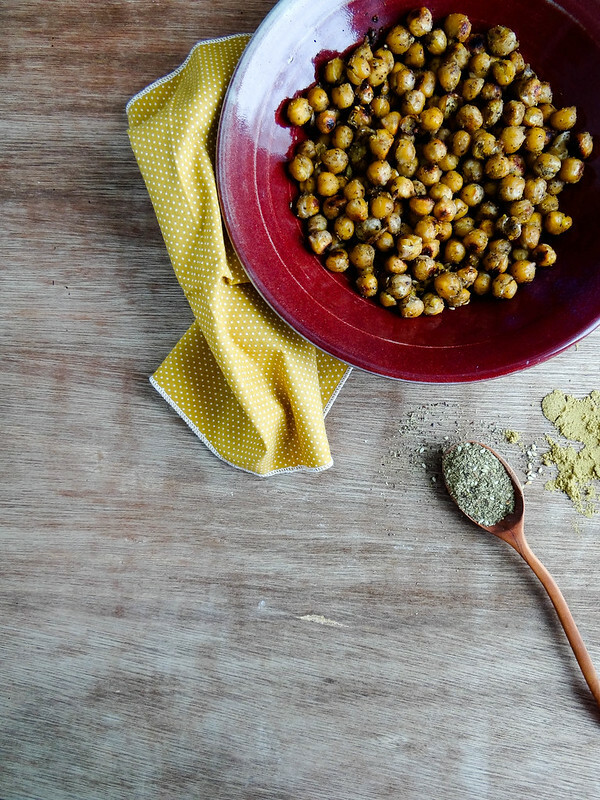 Combine all ingredients on a rimmed baking sheet and toss to coat chickpeas. Bake in preheat oven 20-25 minutes, tossing//turning at the 10 minute mark. Remove from oven- enjoy warm, at room temp or cold. Will keep in an airtight container for up to a week. Excellent! I've had a jar of za'atar in the cupboard for months now that I didn't know how to use. This is a great & easy place to start! Don't think I've ever used or tasted za'atar but these look delicious, thank you for sharing, will have to pick some up to try it sometime. 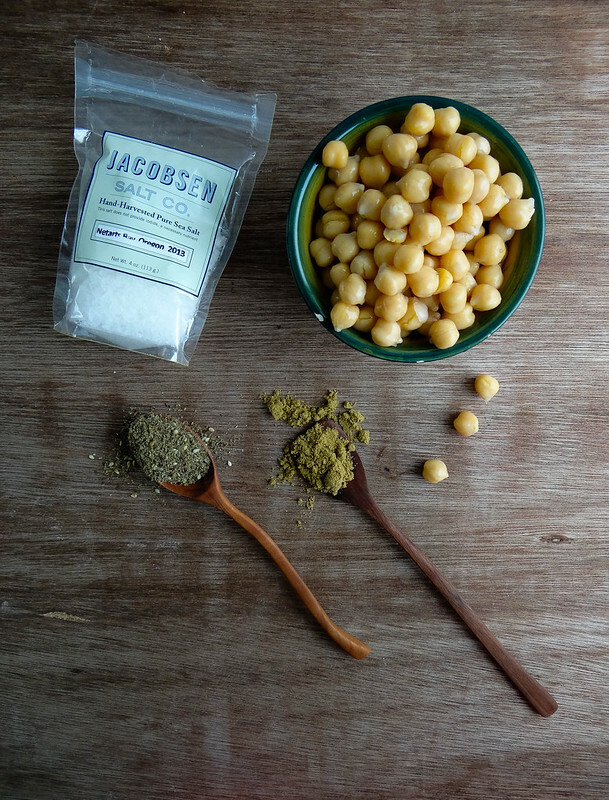 I've been wanting to try Za'atar spice for a while now, and I bet it would be awesome on roasted chickpeas! Thanks for the inspiration! You know, I've actually never tried za'atar spice... Craziness, I know. These chickpeas look so tasty! I absolutely love Za'tar! This looks so simple and delicious! 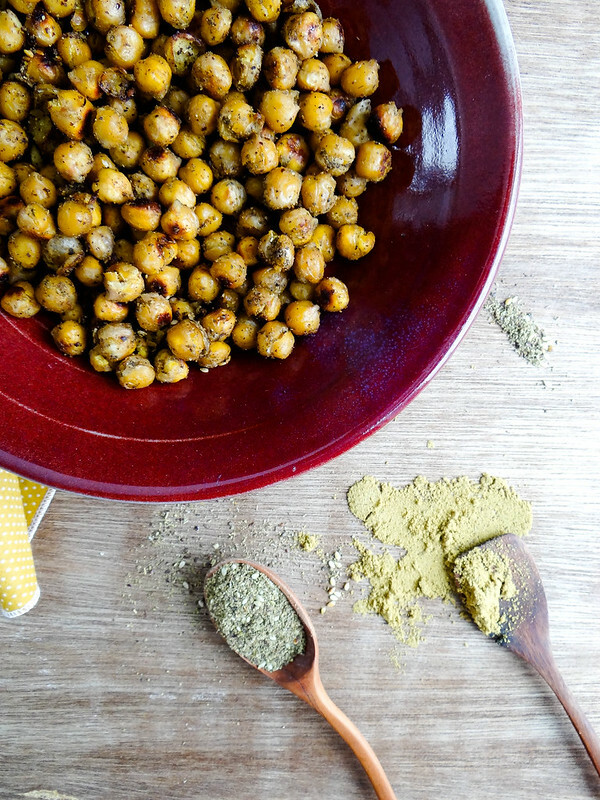 Fantastic recipe the zaatar roasted chickpeas look a star for me. Can't wait to try out this recipe.